Your Blogger-in-Chief is in Brussels for a couple of weeks getting to know his brand-new grand son and getting reacquainted with his four year old grand-daughter–and their parents. We seem to have brought some California weather with us, so we will take advantage of blue skies and sunny warmth to visit the 50s-historical Atomium and the new-historical Mini-Europe “theme park” right nearby, with the four year old as our guide. A year ago in a post titled “History of Medicine Flagship Down By the Bows“, I noted with dismay that one of the premier supporters of the study of medical history, Britain’s Wellcome Trust Centre for the History of Medicine was to close. Now, from this side of the pond comes news that the Trust’s support of that study may not disappear entirely; rather it will be transmogrified into the support of a sort of “applied history”. In perusing the Wellcome Trust Strategic Plan 2010 – 2020, I see that under three of its five main research “Challenges”–“Understanding the Brain”, “Combating Infectious Disease” and “Investigating Development, Ageing and Chronic Disease”, the Trust proposes to “support multidisciplinary research to bring broader historical, societal, ethical and cultural perspectives” on brain function and research, “develop activities to explore social, historical, political, anthropological and ethical perspectives” concerning infectious diseases, and “foster research to explore historical and social perspectives” on chronic diseases. All of this appears in a context of outreach to the public to build understanding of, and enhance trust in, science and medical research. This to me does not sound like a bad thing. Some (most?) historians will be uncomfortable with what I see as an attempt by the Trust’s board of directors to focus, by how it funds historical research, on the struggle to educate a larger public–and to bring medical history, in a very practical, “pragmatic” way, into a public dialog–about the role of medicine and medical research in society. Of course, the devil is in the details, and Strategic Plan 2010 – 2020 only gives us a hint of its intent. But the next 9 years could see the flowering of a new, decidedly “applied” way of looking at the history of medicine. I am in the National Archives in College Park, MD (Archives II) researching hospitals the Navy constructed or otherwise acquired for the care of patients returning from the Pacific. 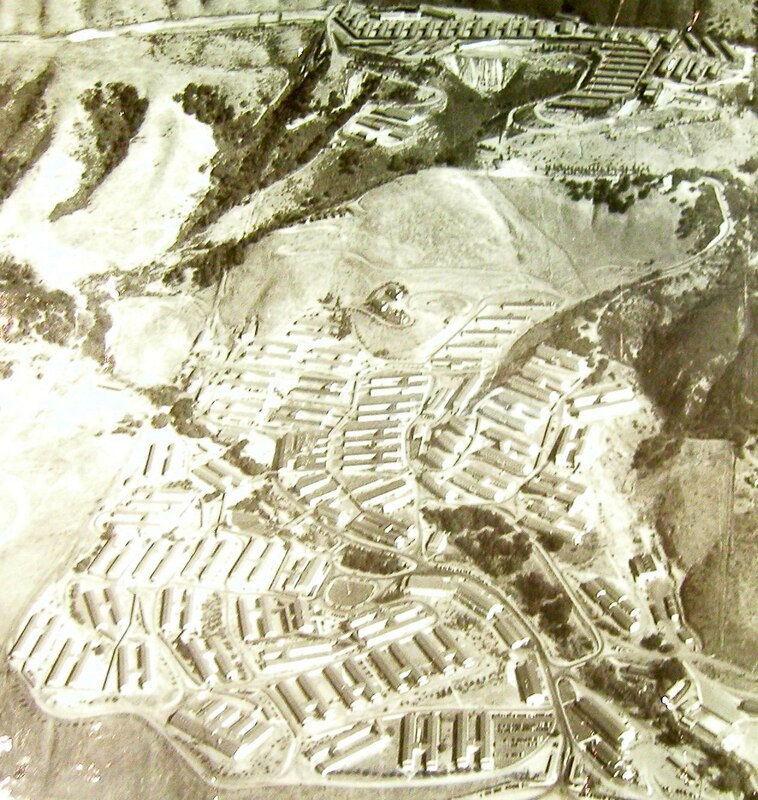 New construction in California alone included Naval Hospitals at Shoemaker (now Dublin), Treasure Island, Oakland, San Leandro, Long Beach, and Santa Margarita Ranch (became Camp Pendleton). In addition, the Navy, in a search for beds readily convertible for patient use, leased resort hotels in Santa Cruz (Hotel Casa del Rey), Corona (The Norconian), Yosemite Valley (Ahwahnee Lodge), San Bernardino (Arrowhead Resort Hotel) and Boyes Springs (Sonoma Mission Inn). The Navy also took over former Army hospitals built by General Patton for his tank training facilities at Banning and Beaumont. In this Part I of a three part series, I’ll briefly discuss the temporary hospitals constructed in northern California. 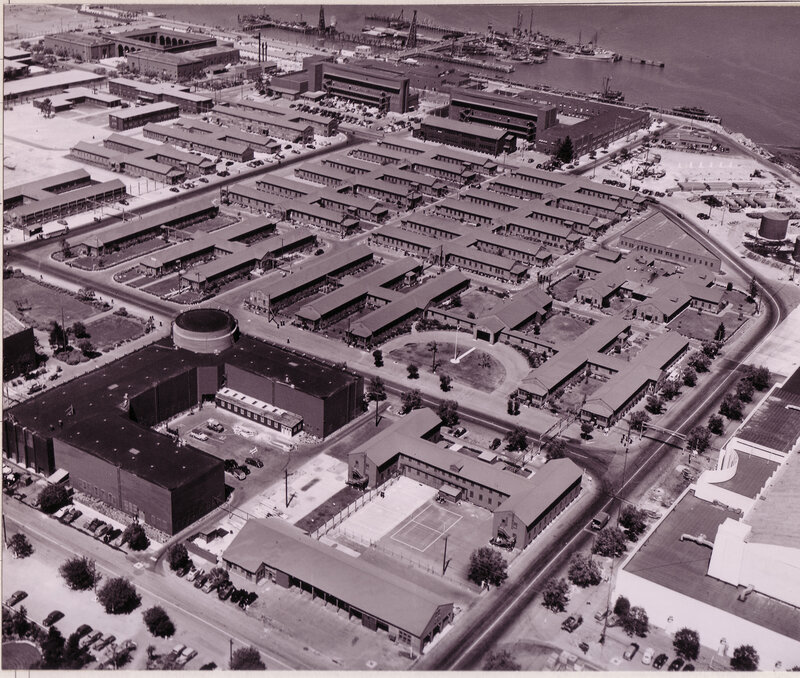 Since the late 1930s, Navy Surgeon General McIntire had determined that the old Naval Hospital at Mare Island could not be enlarged enough to meet the navy’s future hospital needs in the San Francisco area. After a several month search for suitable properties, the site of the Oak Knoll Golf Club was decided upon, and the land purchased for the new permanent hospital. Wartime construction, however, was of a “temporary” type (I worked in one of these “temporary” structures doing Reserve duty in the 1980s). Commissioned 1 July 1942, the hospital ultimately grew to a bed capacity exceeding 6000. The temporary structures served until a hospital of true permanent construction was opened in 1968. This structure served military personnel, their dependents and retirees until the Navy left the Bay area and closed the hospital in 1996. 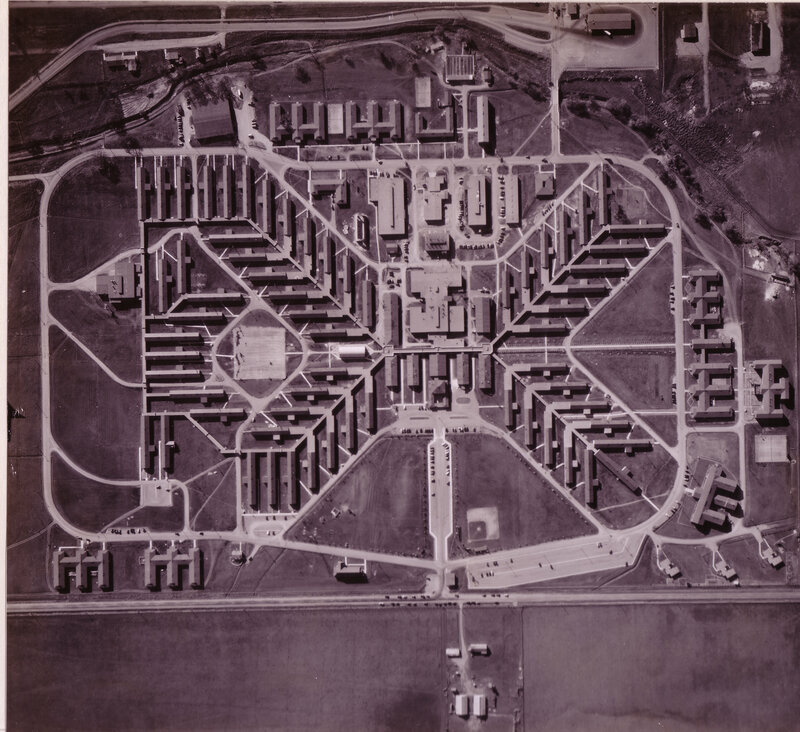 (4) Coverage of the final chapter of U. S. Naval Hospital, Oakland, California can be seen here. (1) These numbers obtained from “HyperWar: History of the Medical Department of the United States Navy in World War II” Chapter One “Facilities of the Medical Department of the Navy” authored by Joseph L Schwartz, Captain, Medical Corps, USN, Retired. This appears to be an official history, extensively footnoted, and transcribed for HTML by Patrick Clancy of the HyperWar Foundation. http://www.ibiblio.org/hyperwar/USN/USN-Medical/I/USN-Medical-1.html accessed 8 April 2011. (2) NARA, College Park, MD (“Archives II”), RG 52, Entry 15B, Records of the Navy Bureau of Medicine and Surgery, Box 110-111, Files relating to NH48. (3) Archives II, RG 52, Entry 15B, Records of the Navy Bureau of Medicine and Surgery, Box 120, Files relating to NH72. (4) California State Military Museum website, Historic California Posts, Stations and Airfields, Naval Regional Medical Center, Oakland. http://www.militarymuseum.org/NavHospOakland.html accessed 09 April 2011. (5) Archives II, RG 52, Entry 15B, Records of the navy Bureau of Medicine and Surgery, Box 121, Files related to NH75. I’m in Albany, NY this weekend to attend my medical school Alumni Weekend festivities (I’m on the Alumni Association Board of Directors). This morning I had a conversation with our Director about setting up an alumni military affinity group, and we are beginning a preliminary inquiry into the notion. In a one hour Google search of the topic, I found that several undergraduate schools and a smattering of Graduate Schools of Business have established such groups (no medical schools popped up in the search). In general, their missions seem to revolve around connecting alumni veterans with each other and with their alma maters, connecting alumni with current students (military scholarship recipients in our case), and developing opportunities for giving to the school, either directly or by way of scholarships. I’d be interested to know if you, dear reader, have any experience with an alumni affinity group, or any “best practices” recommendations concerning same. Please email me – t.l.snyder@comcast.net – or send by comment below, your thoughts and suggestions.